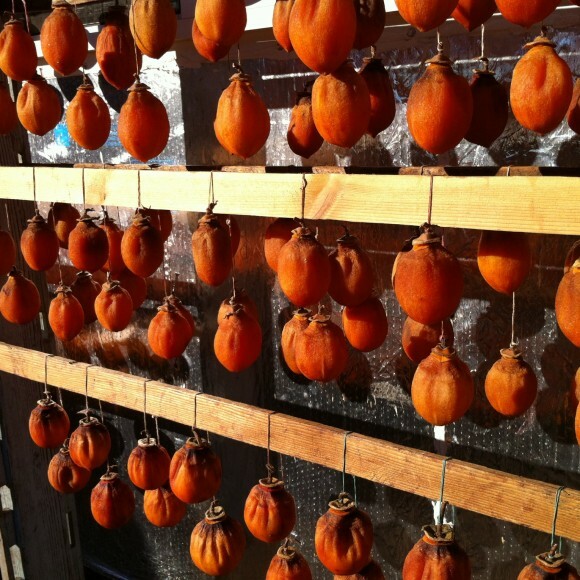 Each year, we dry our hachiya persimmons by using the hoshigaki method. 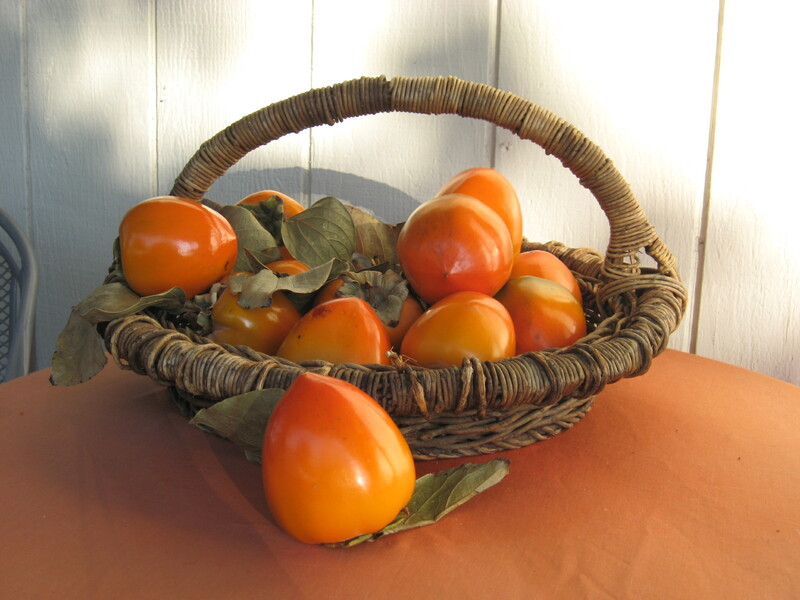 Hoshigaki is the traditional Japanese hand-drying technique of preserving persimmons. In Japanese, hoshi means “dried” and kaki means “persimmon”. 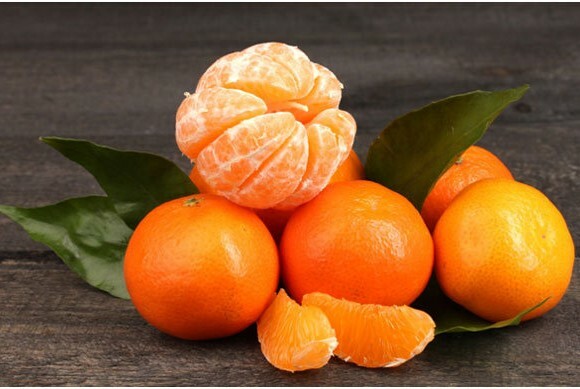 The hand drying technique results in a unique, high quality dried fruit. 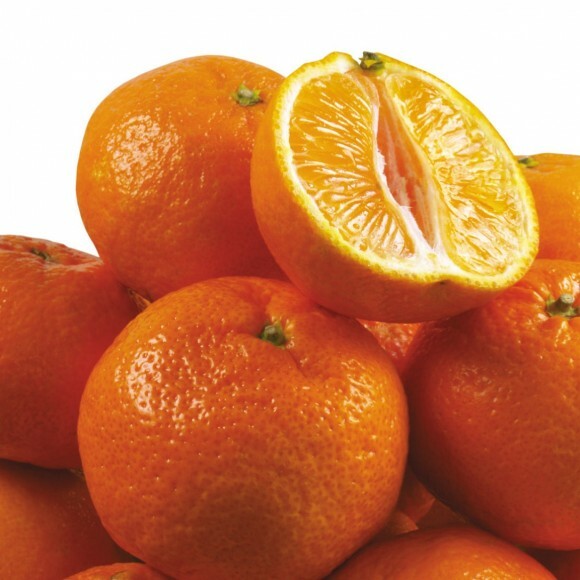 Unlike other dried fruit, which is usually thinly sliced to ensure even drying, the hoshigaki technique incorporates a kneading method that allows the whole fruit to dry evenly into a perfect consistency. 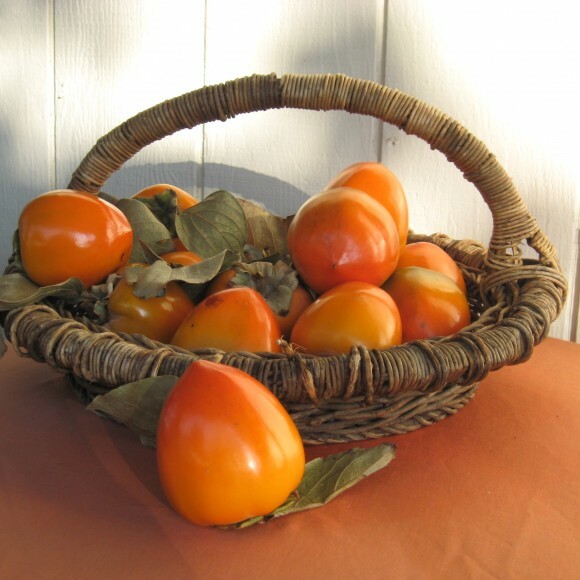 Individual persimmons are peeled by hand. A string is tied to the end of two fruits and hung over a drying rack. Every 3-5 days of hanging, the fruit is kneaded. This process can take several weeks. 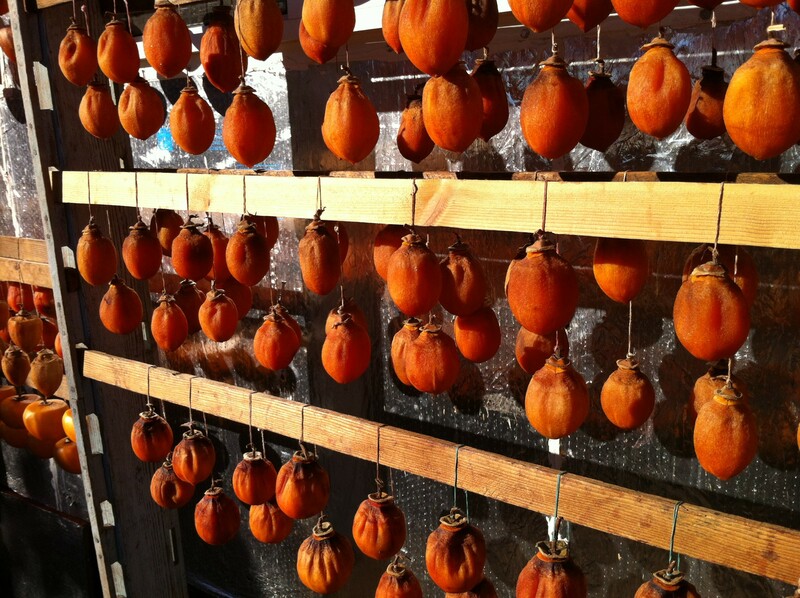 Because each persimmon is kneaded by hand, the best product requires attentive and diligent effort. 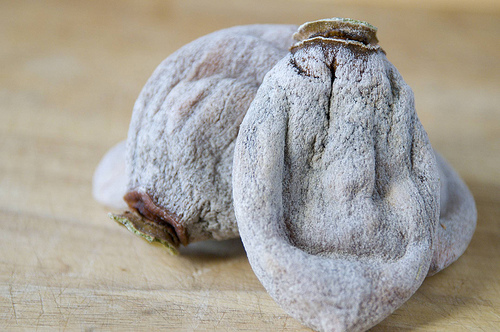 Throughout the drying process, natural sugar crystals form on the surface to give the fruit a white “dusted” appearance. Hoshigaki is a healthy and environmentally friendly food. No preservatives or additives are used in the drying. SKU: H-1. Category: Hoshigaki. Tags: fresh, fruit, hand drying, healthy, hoshigaki method, persimmons, seedless.